Free offer license key for DAZ Studio Pro to create 3D art & animation for free. The software value is $249. New version DAZ Studio Pro is available for Mac OS and Windows. Everyone can get the free license key on this giveaway. The latest version DAZ Studio Pro come with many new features, more stability, and higher performance. 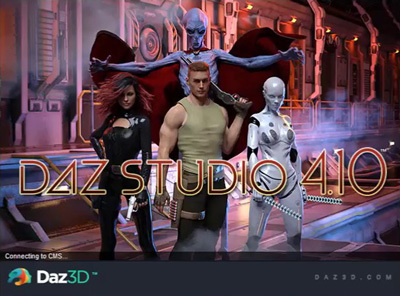 DAZ Studio Pro is alternative software to create digital art & animations. The apps having all features you need to create 3D character, avatar, virtual design, and many more. Other useful tools on the DAZ Studio is content creator toolkit, Autodesk exporter, and 3D bridge for Photoshop. Not just get Daz Studio on this offer, you can also receive full license key for Hexagon software the 3D modeling apps. Get genuine copy of the software on the giveaway page. It official giveaway from DAZ3D. And the license key or activation code is works on DAZ Studio Pro for Mac and Windows. New Giveaway Link for DAZ Studio Pro: Visit the link! Visit the official giveaway page of DAZ Studio Pro above. Login using your DAZ3D account or create new account to the application. Confirm your registration to get free copy. The download installer the latest DAZ Studio Pro version. And install it on your PC or Mac. You can also use the download link on your account to download the installer later. No activation code requires, the license key has included on the installer. Enjoy the DAZ Studio pro on you PC/Mac and ready to create a beautiful 3D art with ease.